Your website is your #1 sales tool. As a florist, you know it’s essential that you keep your tools sharp! Whether you updated your website last week or last year, NOW is the time to get your website in shape so that you can attract the very best clients who are eager to work with you…. 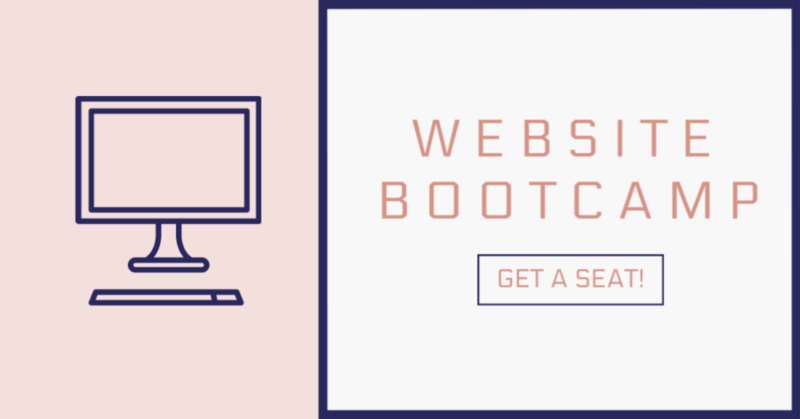 So, to help you in this effort, I’m hosting a 3-day Website Bootcamp and you are invited to join me! This course will show you how to put your BEST foot forward and get more clients to click on your contact form! You can watch a replay any time AND I’ll e-mail you the training as well! Price increases to $89 thru May 7th deadline. Click here to enroll and save your seat! Click here to enroll and before the doors close! Is 2019 going to be your best year in business? 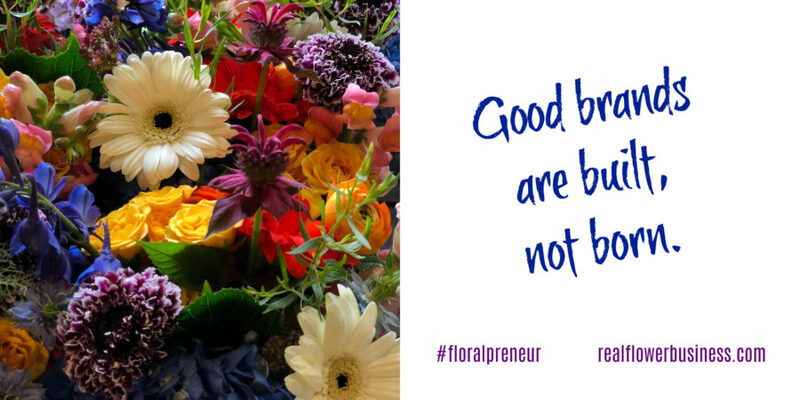 I’m sending out one last invitation before the end of the year to floralpreneurs to join me in my training, The Art of Good Business, before we start the next live session on Jan. 3rd…. Then this course is made for you! You can do this course work at your own pace, but I’ll be LIVE in our private Facebook group every Thursday in January to walk you through the course content and answer your questions in real time! I want to see you succeed…and I know that every small step leads to the next…so I’m here to support you so that you get results. CLICK TO ENROLL BEFORE JAN. 2! I’d be honored to have you on board! 6 pdfs (over 125 pages of lessons + 8 pages of worksheets) that you can download right to your computer; you can even print out the entire course if you’d like. Over 4 hours of videos to supplement the written content. Plus monthly livestreams in our private Facebook group to help keep you motivated and moving through the course all year long! I want you to see results and make positive changes in your business! In our private group we can interact with one another and I can address your specific questions. You can also e-mail me directly with any questions you hay have (before, during or after the course). REMEMBER: I’ll be walking through the course with you LIVE every Thursday in January! NOTE: THIS IS IMPORTANT WORK TO DO IF YOU’VE NEVER WRITTEN A PLAN. How do you transform your business into a brand? Step 1. Uncover Your Unique Branding Strengths. Step 2. Design A Website To Attract Customers That Love You. Step 3. Become A Choreographer Of Customer Service. Step 4. Eliminate The Competition; Be The Clear Choice. Step 5. Implement Changes To Get Results. The total investment in this training is $1,000 and I have a 1 year payment plan option available at no interest and when you sign up by Jan. 2nd, you’ll be able to tune into all 5 livestreams in Jan (and replays will be available if you can’t tune in live). I’ll teach you how to level-up with actionable steps & stellar tips so that you can perfect your brand’s messaging in The Art of Good Business! I hope your 2018 is wrapping up on a good note and I wish you tons of success in the upcoming year. 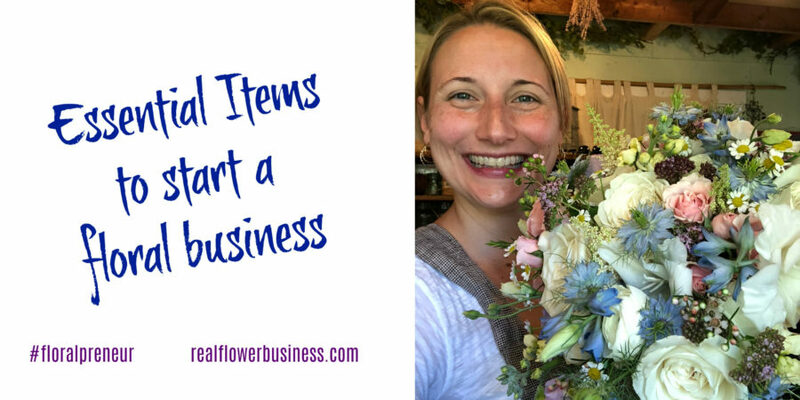 I’m pleased to invite you to join me for my newest free course: How To Start A Floral Business! 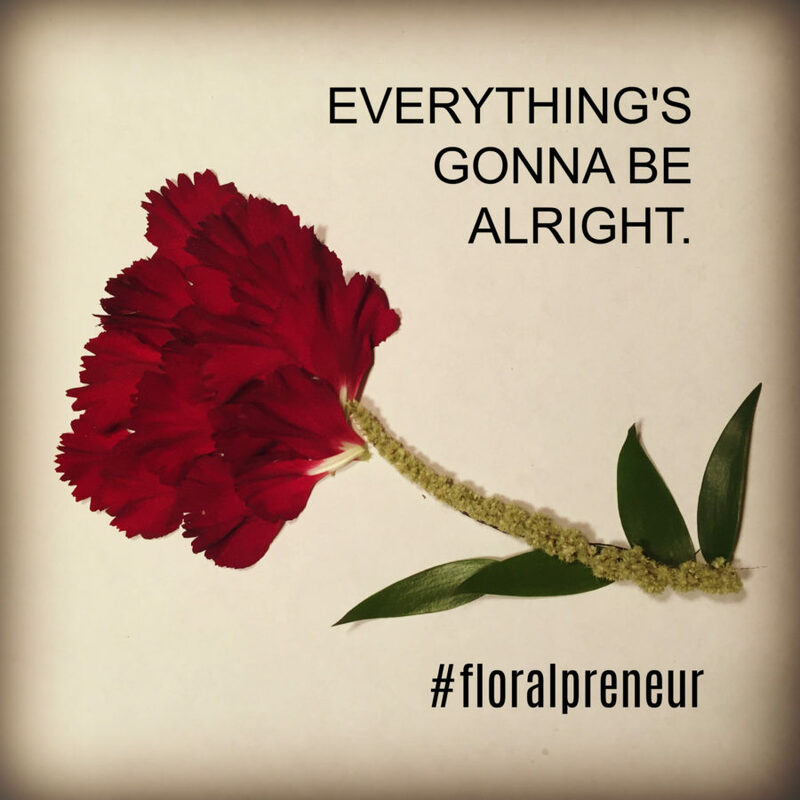 This training is about what you *really* need to run a floral business. There’s something for floralpreneurs of every experience level inside my course! Click HERE to get my free course! *There are over a dozen lessons in this training! *New lessons will be available every 7 days inside the course! Click to upgrade and get the whole course NOW for $20. Click HERE to get the free course! -Downloadable pdf of my Wedding Day Checklist ! -Money Matters (including 3 Money Matters to master). -and 1 mason jar tip (it’s a 1-minute mason jar tip I love!). In the final week you’ll unlock…. -Keeping it legal…including the story about why I finally had to call a lawyer! Click HERE to get the free course today! Remember: new lessons will be available on your dashboard every 7 days! You can login to access the new content each week. OR, Click HERE to upgrade and get the whole course NOW for $20. Learn more about Alison here! It doesn’t matter if your favorite blog is closing because you are a maker. And you will make more. You will keep on making until you’re done. Because that’s what makers do. We design because we love this work. We take classes and seek out inspiration from other florists we admire because we love to do this work really well. It cannot be the end of your marketing plan if your favorite blog closes its doors. It’s OK to miss it….a lot of people who’ve been devoted fans for many years may miss it. But you are a maker. You’re the one who makes the content that beautiful blogs want to share. You’ll make more. And more….and more. Remember: The only thing you own online is your own website! It’s the only thing you truly control. Instagram, Facebook, just like your favorite blog, can disappear, too, so what’s your plan for when that happens? Where will your best stuff be then? On your own website, floralpreneurs. That’s where you want to shine. What to do now: Instead of simply moving those ad-dollars to another online platform, re-invest back into your own business! Put that ad budget into a website upgrade, take an online course….or attend a workshop….or take the funds and give yourself a raise. You are your own best representative for your business. You have the power to get that SEO all on your own. The power is in your hands (and inside your computer….aka on your website!). This is the final week of the live challenge! If you haven’t had a chance to join yet Click HERE to get in my FREE Pop-Up Group on Facebook to participate! I’ll be LIVE at 12pm EST on Tuesday, Jan. 30th for Week 4 of the Blog Challenge! You don’t need to have a blog yet to sign up! Building an awesome website is an ongoing journey. Our website is our online storefront. But sharing that piece of our heart can be intimidating. In fact, it can be so intimidating that some people can’t push through the fear. And the fear holds them back. they can’t truly “be their best brand”….because no one can actually see how good they are. So these brands remain hidden. Their uniqueness is kept a secret. But we cannot keep our awesome qualities hidden if we want to work with more awesome clients. We have to show our ideal customers who we are so they can find us. Whether you push through fear on the daily, or sometimes you find that fear holds you back, Click HERE to watch “On Fear & Creativity”; a behind-the-scenes livestream from my private Facebook group for my course, The Art of Good Business. Enrollment is open for The Art of Good Business. If you like my website tips and enjoy this blog challenge, I’d be honored to have you to Join me! Click here for details on the course (and even check out a free sample preview of the course). I still have website tweaks to make but my ideal client is more clearly defined, I’ve mostly reworked my web copy, have been better about blogging, and more intentional about how I talk to my followers on social media posts. Read more of Jessica’s results from the course HERE. I help florists create engaging websites, find ideal clients and build long-lasting brands. If you’re not sure if one of my courses is right for you please feel free to e-mail me anytime. I’m happy to answer any questions you may have. Try a free course! CLICK HERE.